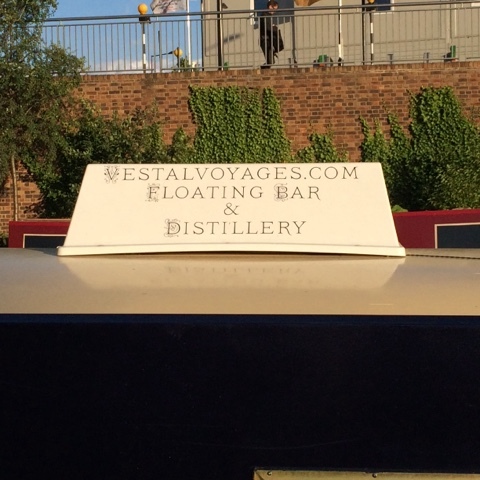 Gin club on a boat! - What's Katie Doing? 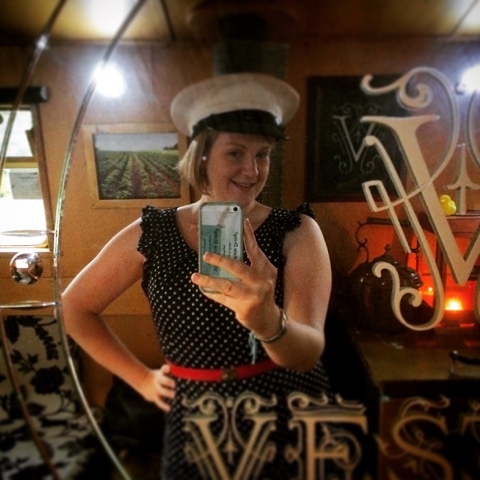 Gin club on a boat! 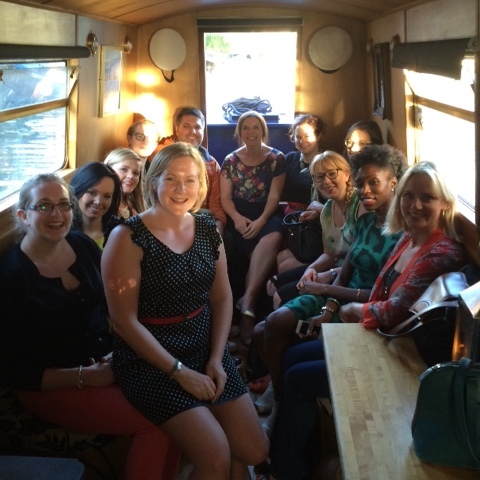 The most exciting Gin Club with a Reading Problem outing yet! 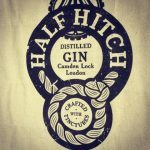 WE MADE GIN!! 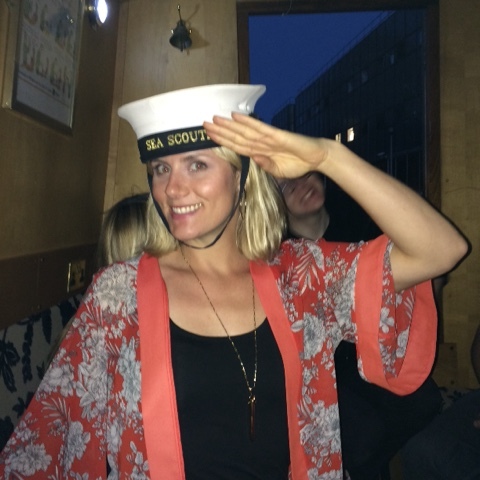 ON A BOAT M*F*ers! This boat to be precise… Disco Volante – such a great name! 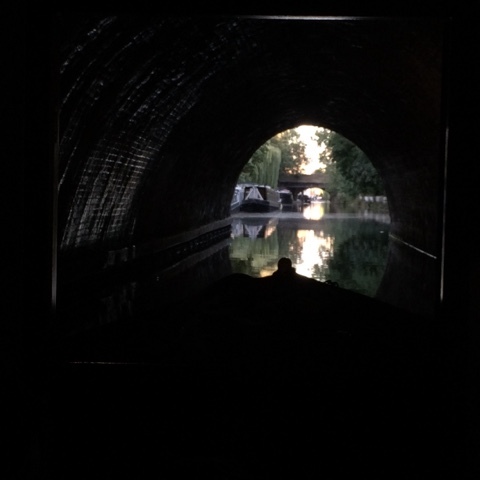 And with me in it too – the boat holds up to 12 so we made full use of it, even with visitors from the States joining in. 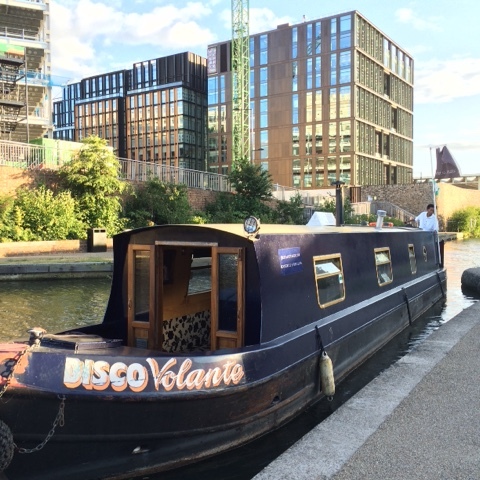 We picked up the boat on the canal by Kings Cross Granary Square, it sails towards Islington before turning and heading to Camden, passing through one lock and then returning to Granary Square again. 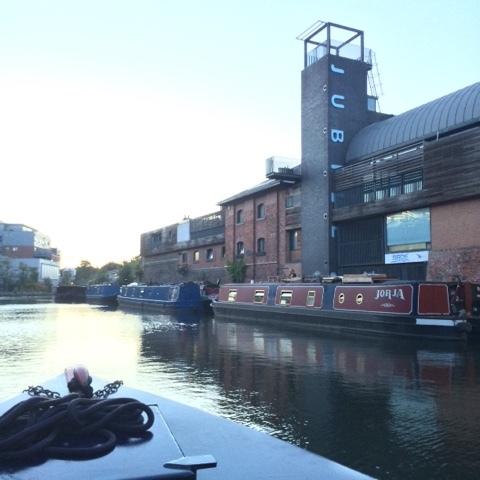 We started with a prosecco vodka cocktail to get things warmed up – a boat with booze! 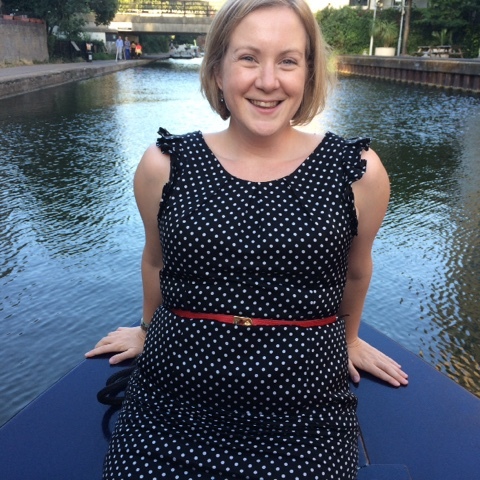 Lounging on the bow of the canal boat heading down the canal in the direction of Islington. 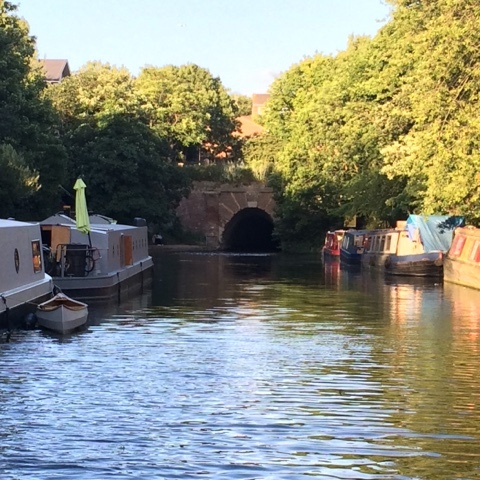 You can see Islington tunnel in the distance – never been through it before! 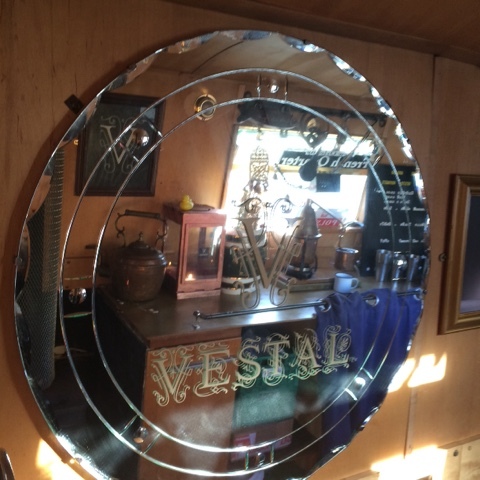 A jaunty shot of the Vestal Vodka – this is our starting point for the gin making. We all to try this to see what a good quality spirit it is – even neat at room temperature! Very smooth and easy to drink…. 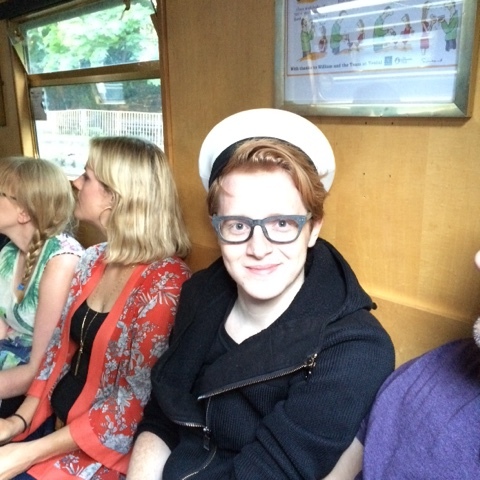 Ryan modelling the cabin boy hat! 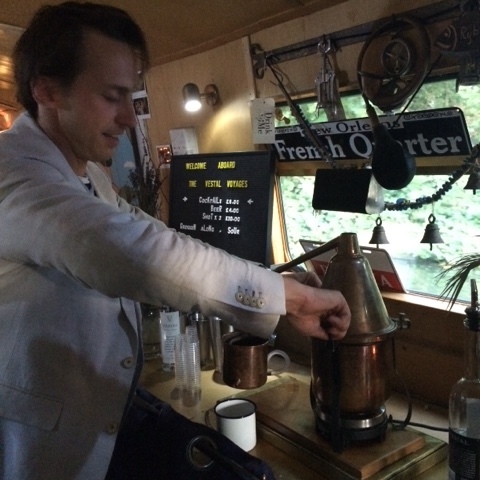 So then we started distilling gin – on.a.boat. 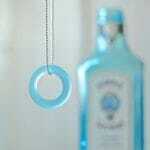 As I mentioned already – you start with a pure base spirit and flavour it with juniper to make gin. 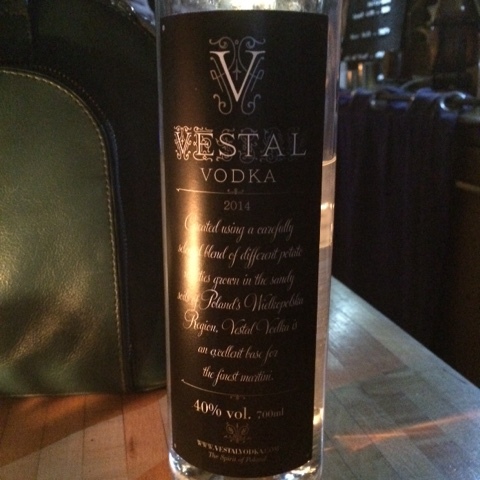 We started with Vestal Vodka made from potatoes in Poland. 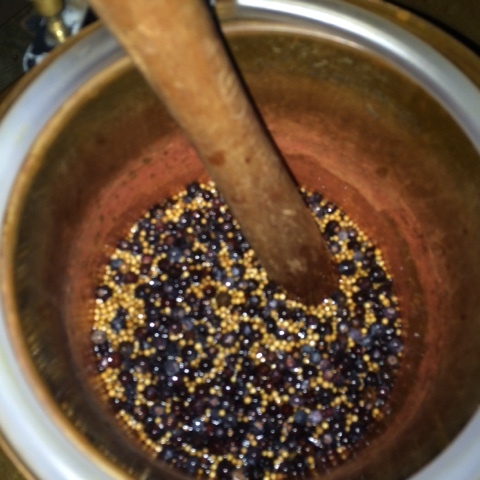 To this we add Bulgarian juniper – a minimum of 45% is required to make it gin! Then we add coriander and angelica root – coriander adds sweetness and citrus flavour and the angelica root holds everything together. The final ingredient is fresh lime peel – twisted to get the oils out. 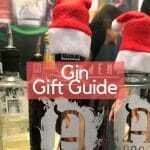 Magic – a pot of gin ingredients! Turning the heat source on – no longer do they use a naked flame! (Health & safety, things tend to explode when you mix fire with alcohol vapour). 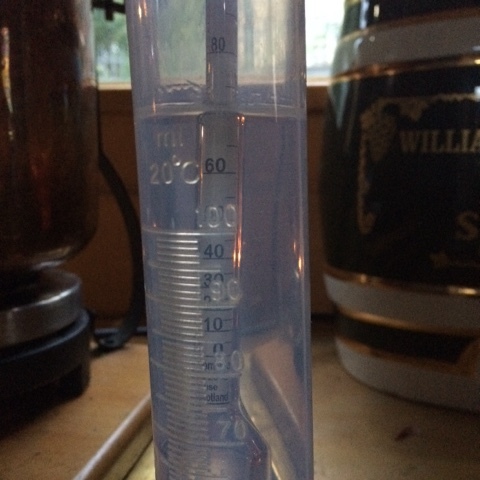 Demonstrating the hydrometer – the piece of kit that will tell us how much alcohol is in liquid – this was calibrated with water, so 0 is water and 100 is pure alcohol. 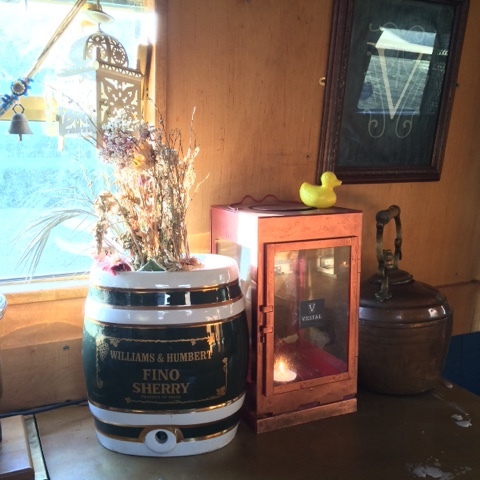 We were using a traditional copper still with a swan neck. 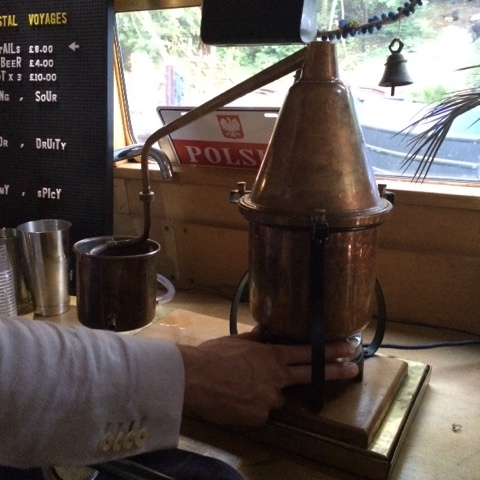 The idea is that the alcohol from the vodka turns into vapour before the water in it – and this is funnelled out of the still by the swan neck with all the lovely flavourings. This then gets condensed where you can see the copper pot with the coil in it – this needs constant cooling whilst the distillation process is ongoing. 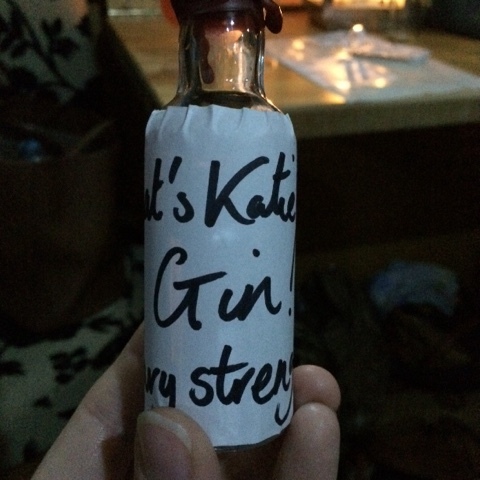 As the alcohol (now juniper flavoured gin!) condenses, it fills the mug under the spout. There are three stages to distillation – first you get the head – this is normally methanol and will turn you blind and mad if you drink it, so that’s thrown away (you don’t get this if you start with a rectified spirit like vodka that’s already good to drink – phew!). Then comes the heart – this is what you want to drink – each flavour comes out at a different stage of the process though. 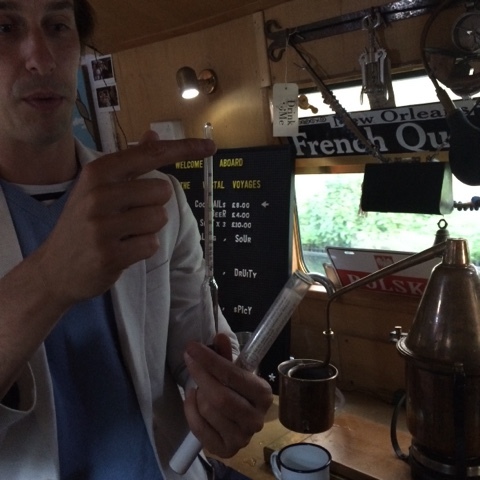 We got to taste the 70% proof alcohol coming out (just a drip on a finger mind) and it was strong!! Along with the tingly mouth feel from the alcohol, it was interesting to see how the flavour changed as the different botanical flavours came out. 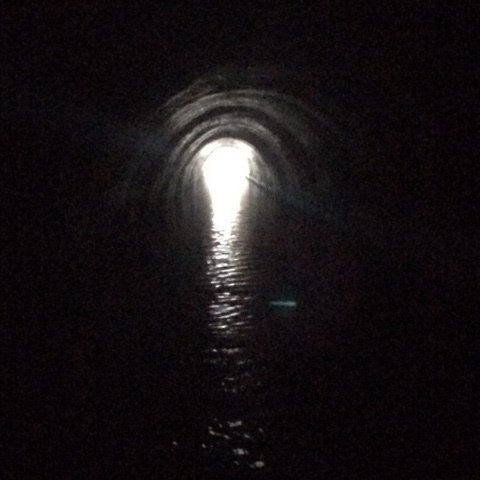 Then finally at the end of the distillation you get the tails, which you discard. 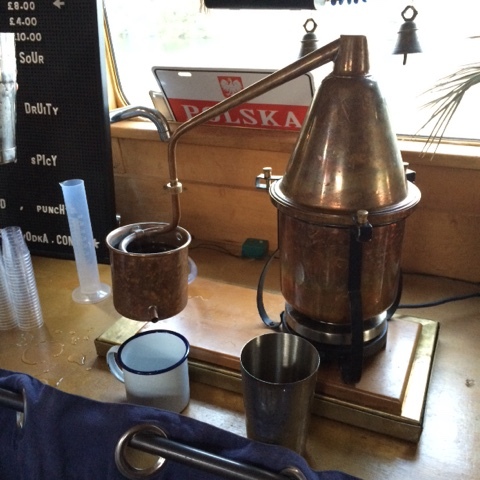 Our distillation came out 70% proof! 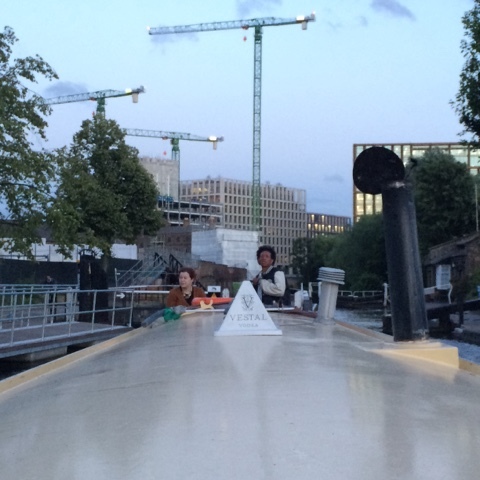 Captain Pat and Becky at the wheel – the building site of Kings Cross in the background. 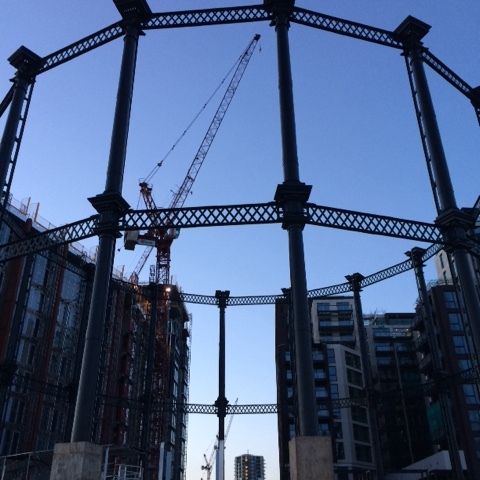 They are preserving some of the original architecture of the area – like this cast iron gasworks – and building around, you get an interesting view point from the canal! 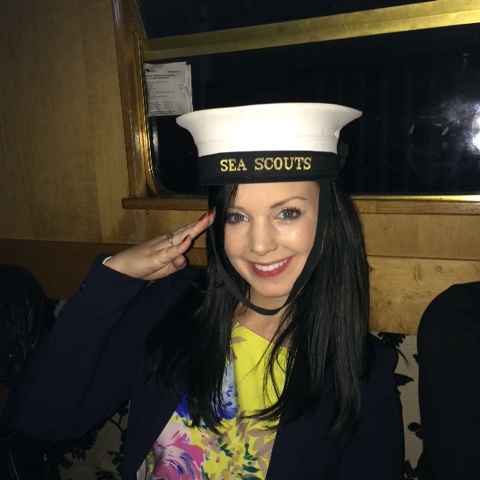 Kate modelling the sea scouts hat! 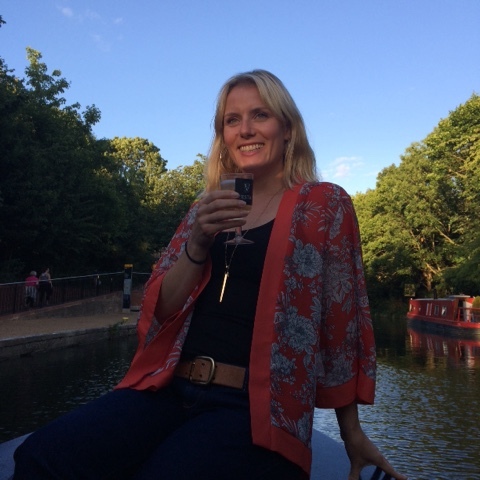 Nicola having a go – everyone had good sea legs after the trip! 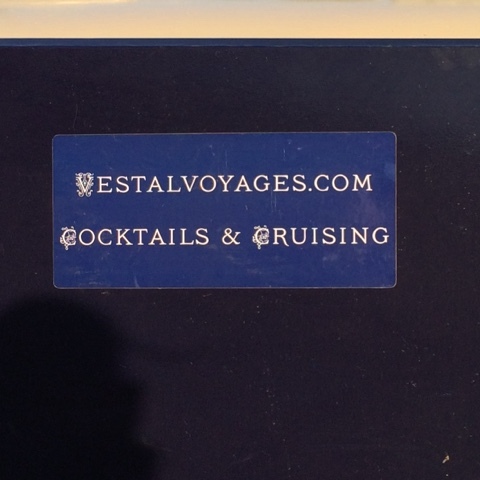 We all loved the gin voyage – we also got an unpictured rum punch to enjoy whilst decorating our bottle labels and sealing the bottles with wax – for that authentic look! 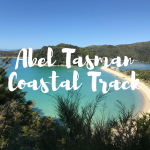 In total the 2 hour cruise with drinks and gin making, with a bottle to take away with you, cost £30 each, and we all agreed this was worth it. 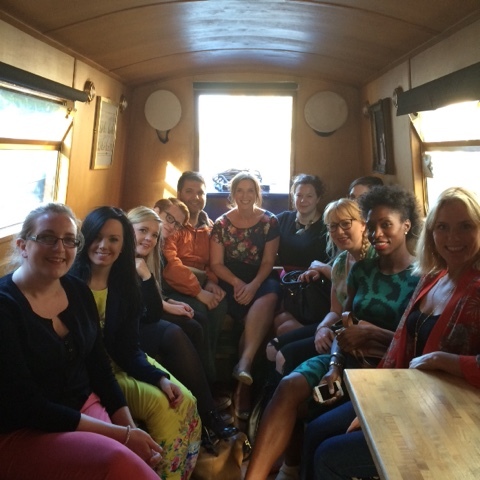 Another fun outing for Gin Club! 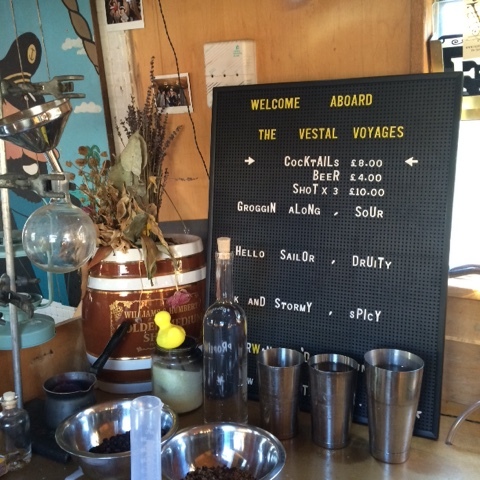 Find out more and book here: Vestal Voyages select a London Gin Voyage date for the full distilling experience, or just have a party on a boat!